(CNN) -- A California judge ruled Thursday that enough evidence exists to hold over former transit police officer Johannes Mehserle on a first-degree murder charge in the shooting death of a 22-year-old man at an Oakland, California, transit station on New Year's Day. The ruling means the case will go forward in court. Bob Connor, an investigator with the Alameda County District Attorney's office, said a gag order in place prevented release of further information. Mehserle, 27, will next appear in court on June 18. The shooting drew national attention after grainy cell phone videos of the incident taken by a bystander began circulating on the Internet and news shows, and prompted large and violent demonstrations. The video showed Mehserle pulling his gun and fatally shooting Oscar Grant III, 22, in the back as another officer kneeled on the unarmed Grant. Mehserle may have intended to draw and fire his Taser rather than his gun, according to a court filing by his attorney. Bay Area Rapid Transit police were called to Oakland's Fruitvale station January 1 after passengers complained about fights on a train. Officers pulled several men, including Grant, off the train when it arrived at Fruitvale. 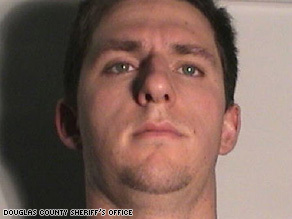 Mehserle resigned his position a few days after the incident and was later arrested in Nevada. Mehserle, who has pleaded not guilty, was released on a $3 million bond in February, prompting a fresh round of demonstrations. Grant's family has filed a $50 million wrongful death lawsuit against the officers involved in the incident.